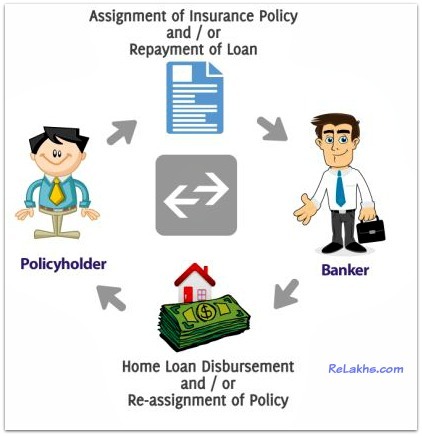 You are here: Home / Insurance / What is ‘Assignment’ of Life Insurance Policy? What is ‘Assignment’ of Life Insurance Policy? Insurance is a contract between the insurance company (insurer) and you (policyholder). It is a contract with full of jargon. As much as possible, we must try to understand all the insurance terms mentioned in the policy bond (certificate). One such insurance jargon which is mostly used is Assignment. If you are planning to apply for a home loan, your home loan provider may surely use this term. So, what is Assignment? Why assignment of a life insurance policy is required? What are different types of assignment? What are the differences between Assignment & Nomination? Assignment of a life insurance policy means transfer of rights from one person to another. You can transfer the rights on your insurance policy to another person / entity for various reasons. This process is referred to as ‘Assignment’. The person who assigns the insurance policy is called the Assignor (policyholder) and the one to whom the policy has been assigned, i.e. the person to whom the policy rights have been transferred is called the Assignee. Once the rights have been transferred from the Assignor to the Assignee, the rights of the policyholder stands cancelled and the assignee becomes the owner of the insurance policy. Assigning one’s life insurance policy to a bank is fairly common. In this case, the bank becomes the policy owner whereas the original policyholder continues to be the life assured on whose death the bank or the policy owner is entitled to receive the insurance money. Absolute Assignment – Under this process, the complete transfer of rights from the Assignor to the Assignee will happen. There are no conditions applicable. Example: Mr. PK Khan owns a life insurance policy of Rs 1 Crore. He would like to gift this policy to his wife. He wants to make ‘absolute assignment’ of this policy in his wife’s name, so that the death benefit (or) maturity proceeds can be directly paid to her. Once the absolute assignment is made, Mrs. Khan will be the owner of the policy and she may again transfer this policy to someone else. Conditional Assignment – Under this type of assignment, the transfer of rights will happen from the Assignor to the Assignee subject to certain conditions. If the conditions are fulfilled then only the Policy will get transferred from the Assignor to the Assignee. Example: Mr. Mallya owns a term insurance policy of Rs 50 Lakh. He wants to apply for a home loan of Rs 50 Lakh. His banker has asked him to assign the term policy in their name to get the loan. Mallya can conditionally assign the policy to the home loan provider to acquire a home loan. 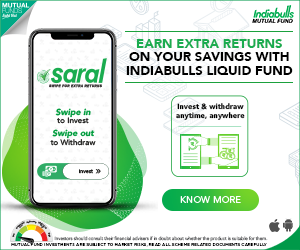 If Mallya meets an untimely death (during the loan tenure), the banker can receive the death benefit under this policy and get their money back from the insurance company. If Mallya repays the entire home loan amount, he can get back his term insurance policy. The policy would be reassigned to Mallya on the repayment of the loan. In case if the death benefit received by the banker is more than the outstanding loan amount, the insurer will pay the bank the outstanding dues and pay the balance to the nominee directly. The balance amount (if any) will be paid to Mallya’s beneficiaries (legal heirs / nominee). How to assign a life insurance policy? The Assignment must be in writing and a notice to that effect must be given to the insurer. Assignment of a life insurance policy may be made by making an endorsement to that effect in the policy document (or) by executing a separate ‘Assignment Deed’. In case of assignment deed, stamp duty has to be paid. An Assignment should be signed by the assignor and attested by at least one witness. Download absolute assignment deed sample format / conditional assignment deed format. Download ‘application for assignment’ sample format. Nomination is a right given to the policyholder to appoint a person(s) to receive the death benefit (death claim). The person in whose favor the nomination is effected is termed as ‘nominee’. The nominee comes into picture only after the death of the life assured (policy holder). The nominee will not have the absolute right over the money (claim proceeds). The other legal heirs of the policy holder can also recover money from the nominee. Under nomination, the rights of the policyholder are not transferred. But, assignment is transfer of rights, interest and title of the policy to some other person (or) entity. To make assignment, consent of the insurer is also required. Assignment of policies can be done even when a loan is not required or for some special purposes. If you assign the policy for other purpose other than taking a loan, the nomination stands cancelled. If the policy is assigned, then the assignee will receive the policy benefit. Death benefit will be paid to the Nominee, in case the policy is not assigned. The policy would be reassigned to you on the repayment of the loan (under conditional assignment). An assignment of a life insurance policy once validly executed, cannot be cancelled or rendered in effectual by the assignor. The only way to cancel such assignment would be to get it re-assigned by the assignee in favor of the assignor. You can also raise a loan against your policy from your insurance company itself. In this case, your policy would have to be assigned to insurance company. In case of death of the absolute Assignee (to whom the policy rights have been transferred under absolute assignment), the rights under the policy will be transferred to the legal heirs of the assignee. Partial assignment or transfer of a policy can also be made. But banks will accept any of your life insurance policies as long as the sum assured is equal to or greater than the loan amount. Hope you find this post informative and do share your comments. A assigned his policy to his brother B and B is paying premiums. A’s nominee is his father. What will happen if B dies? May I know what type of Assignment is this?? A assigned his policy to his brother B, out of love and affection as absolute assignment. Whose life is covered?. What happens if B dies? If the assignee (Mr B) dies, then his/her legal heirs will be entitled to the policy money. Kindly note that an assignee cannot make a nomination on the policy which is assigned to him. What is the procedure to get the policy assigned? How much time does it take? Thanks for this. I always like to use study materials by Indians in preparing for my professional exams. The contents here are superb and easy to understand. Once assignment is done, on whose name Renewal receipts and PPC will be generated. Dear Gayu ..in the name of Policyholder only. My colleagues were looking for USPS PS 1000 this month and were informed of an online platform that hosts a ton of fillable forms . If people are wanting USPS PS 1000 too , here’s https://goo.gl/Qqo6in. I am having an LIC policy for the past 10 year. now i would like to assign the same to my mother. Now after the assignment, whose life is covered and who gets all the benefit? Do i have to appoint a new nominee after the assignment? Dear Bhavik ..Life cover will be in your name only. Your mother can get the benefits. You can make her as the nominee. If policy assigned to absolute assignment from A to B. B is the assignee of the policy and he have all rights of the policy. After assignment who will have a life cover A or B. Let me know who will pay the remaining premium after assignment.and what are the other reasons for assignment except loan and gift. Dear Manish ..The policy holder only has to pay the premium. I have a ULIP assigned to my home loan. I have paid two annual premiums till now. If I dont pay the next premium, will it have any impact on my home loan ? I know that my ulip will get discontinued in this case but can the bank force me to pay the premium legally ? If sum assured falls below the outstanding loan amount then you banker may ask you to assign another policy or pay the premiums on this one. Thanks. Sum assured is already below the loan amount. In this case, can bank take any legal action against me if I don’t pay the premium? Dear Kalis..Why do you want to take this risk? Who will have to pay tax if single premium ULIP where premium is >20% of sum assured is assgned to spouse & she then sureender it. Dear Vishal ..The insured (policyholder)..
my father aged 72 has taken a ULIP policy on my Child with coverage 10 lakhs .But now he would like to Assign the policy to my mother’s Name aged 67. Please Clarify weather the life coverage and policy benefits will be transferred to my Mother or will it continue with my son. May I know who is the ‘insured’ in this policy? Is the child just a nominee to the policy? “If he assigns the policy for other purpose other than taking a loan, the nomination stands cancelled. Really nice blog.very informative and useful. I liked the way You explained very briefly about Assignment’ of Life Insurance Policy. I Just wanted to know If i nominate my spouse for the life insurance or nominate my child and appoint my spouse how these to things are different in terms claim settlement of life insurance. Ideally I may want my spouse to look-after my child education until they turn major and they do not misuse the claim amount. 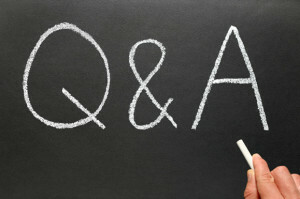 Please let me know if possible your contact number so that we discuss further.. If you are planning to buy a new Term plan, you can assign the policy under MWP Act by mentioning the Percentages (share in death benefits) among your legal heirs (spouse & kids). You also have the option to write a WILL and give detailed instructions about how the claim amount (if any, on such policy) should be used or allocated. Dear Sreekant, Thanks for such valuable information. Please do correction on your post that the existing life insurance policies cannot be assigned under MWP Act. Pl correct me if I am wrong. Please let me know that even if I assign the policy unconditionally to the bank for home loan purpose, after repaying the home loan successfully, the bank should re-assign the policy to me. If it does not do this, what options do I have? Thanks again. Yes, only new insurance policies can be assigned (while purchasing new ones) under MWP. Thank you for pointing this out. (I have provided all the details about MWP act in another article). If a policy is assigned with absolute assignment, it cannot be cancelled. It can be done only by another valid re-assignment. So, the banker has to re-assign it after the repayment of loan. When you do not wish to give away your complete control over policy, do not go in for absolute assignment.